Buying a house is a big deal. If anyone else tells you otherwise make sure to ignore them. When I bought my first house when I was only 27 years old. I think I was still in shock a bank would loan me over $150,000. Five years prior I was a college graduate with zero vision, $3,000 net worth and no job. With hard work I was able to start a new career, save 15-25% of my paychecks, and continue to earn more each year. I was always saving to buy a house, I knew that owning property in one of the best ways to create wealth and establish a solid financial foundation. I bought my first house after only looking for a few months. Luckily I had done enough online research I knew exactly what I was looking for. At the beginning of the buying process I submitted a few forms online and was prequalified to buy a house up to $275,000. Not bad for a kid who had a few thousand to his name five years ago. Just because you are approved for $275K doesn't mean you have to spend the entire amount. Instead I created my entire house buying process with only one number in mind, the monthly mortgage amount. In the previous fours years in my apartment my rent increased each year, as did my salary. But I didn't want to overextend myself and keep planning for continual raises. This leads to overspending and not saving. My number one goal of buying a house was to keep the payment exactly the same as my rent payment, $1,025/month. I always joked that I wanted to keep the payment low so I could still make the payments even if I was a manager at Taco Bell. Jokingly dream job? I know $1,025/month seems like nothing to those readers in areas like San Francisco, New York or Southern California. Regardless of where you live when you start deciding to buy a home you need figure out what your monthly payment will be. Unlike renting your monthly payment will remain the same over the 20 or 30 year fixed loan. The only fluctuations would be property tax or insurance. These increases will be very minimal compared to yearly rent increases. How do you lower your monthly mortgage payment? For first time homebuyers the easiest way to lower your monthly mortgage will be a larger down payment. In my case I always wanted to put down 20%. By putting down 20% you will not have property mortgage insurance (PMI). Property mortgage insurance is an additional cost that will be separate from your mortgage payment. Property mortgage insurance will usually cost between .5% – 1% of the entire loan amount on an annual basis. On a $200,000 loan you would be paying as much as $2,000 per year or $166 per month. Higher Payment: The more expensive the house the less your down payment will. For example, lets assume you have $20,000 saved. If you buy a $200,000 house you'll have 10% down payment. But if you buy a $300,000 house a 6% down payment. The less you put down the higher your mortgage payment will be. Two of the biggest factors when buying a house should be the overall price of the house and your down payment. Increased Costs: If I bought a $275,000 house it would inevitably lead to more house repairs. The bigger the house the more stuff than can break! Credit is so important. Your three digit credit score will stay with you forever! It is the adult version of a report card. The higher your credit score the better your loan rate will be. The lower the loan rate will lead directly to a lower monthly payment. Usually scores 740 or above will secure the lowest interest rates. Be an overachiever and shoot for 800 to play it safe, no harm in having excellent credit. For any newbies there are two general types of mortgage loans; fixed rate and adjustable rate mortgage loans. Usually offered from lenders in 10, 15, 20 or 30 year term lengths. When you choose a fixed rate loan you lock in a monthly payment and interest rate for a set term. Fixed rate loans ensure you know what your payment will be for the next 10, 15, 20 or 30 years. A variable rate mortgage is more commonly known as an adjustable rate mortgage (ARM). Your interest rate will change over the life of the loan. With a fixed rate loan you will always know what your payment will be, ARM loans are the exact opposite! This is terrifying to me. Even if interest rates don't go up (or even decrease) your payments could increase drastically. The best option is to choose a 30 year fixed rate loan. If you choose a 15 or 20 year term your monthly payments will increase, sometimes drastically. For your first home choose a 30 year to keep your payment as low as possible and start home owning sooner. A 30 year, fixed rate loan will ensure you know your payment now, in five years, or 20 years. You're always able to re-finance in the future if interest rates drastically decrease. Fixed rate loans will allow you budget around your never changing mortgage payment. 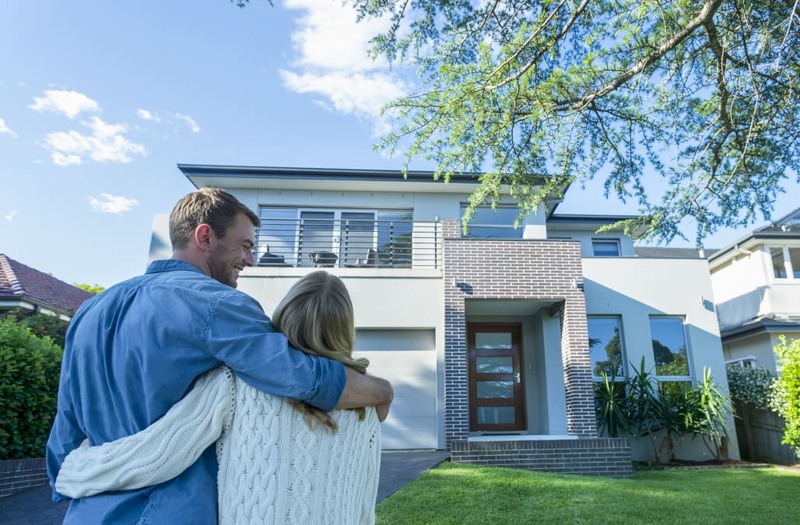 Don't overextend yourself when buying your first home. Simplify it to one number, your monthly mortgage payment. Once you find a payment you are comfortable find out the following online or with a lender. Credit Score: If you haven't used Credit Karma go sign up now. Whether you're buying a house now or in five years it's important to know your credit score. The higher the score the better! If you're able to have a score over 740. Down Payment: Once you use a few online mortgage calculators you'll be able to see how much you need to put down to get the payment you want. If you're not able to put 20% down don't worry you're not alone. But you will need to factor in how PMI will affect your payment. The post The One Number For 1st Time Homebuyers appeared first on Super Millennial.